- I think that now,I have a good experience in buses,trucks,passenger cars and sales fields. -Had a good knowledge in Mechanichs,Electric and sales. -learned me how to deal with customers and technicians. -Now, i deal with most of the diagnostic tools,special tools and know how to diagnose the error and track it. -dealed with a big authorities in Egypt like, Cairo transportation authority(CTA), Petrojet , EAMCO ,MCV ,GB Polo ,Gorica,Alex Transportation Authority(APTA) etc.... as my company is an agent for ZF in Egypt for transmissions,power steering,axles . Delivered 100 MCV buses to CTA: I was responsible for its maintenance and warranty. Delivered 300 Marco Polo buses from GB polo to CTA : responsible for its maintenance and warranty. Delivered 150 Scania buses from EAMCO to CTA :resposible for its maintenance and warranty. Delivered 50 buses from MCV to England: Made its PDI. -Got three courses at ZF in Germany. -Made a retrofit for 300 buses in CTA :from an old transmission called Ecomat to Ecomat 4. -Made a retrofit for 100 buses in CTA from Ecomat to Ecomat 2 plus included the mechanical components and the electrical circuit and the peripherals. -Had a good experiences in sales: attended alot of tenders,sell a ZF components to many companies,and some marines spare parts for the armed forces. - Made a technical report about the defects of LUK clutches and it was a reason for preventing this product to be sold in Egypt. 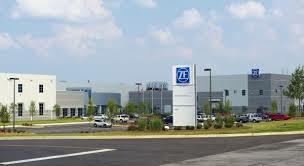 -Sold some ZF spare parts to many costumers, attend alot of tenders and dealed with the armed forces as a sales engineer.